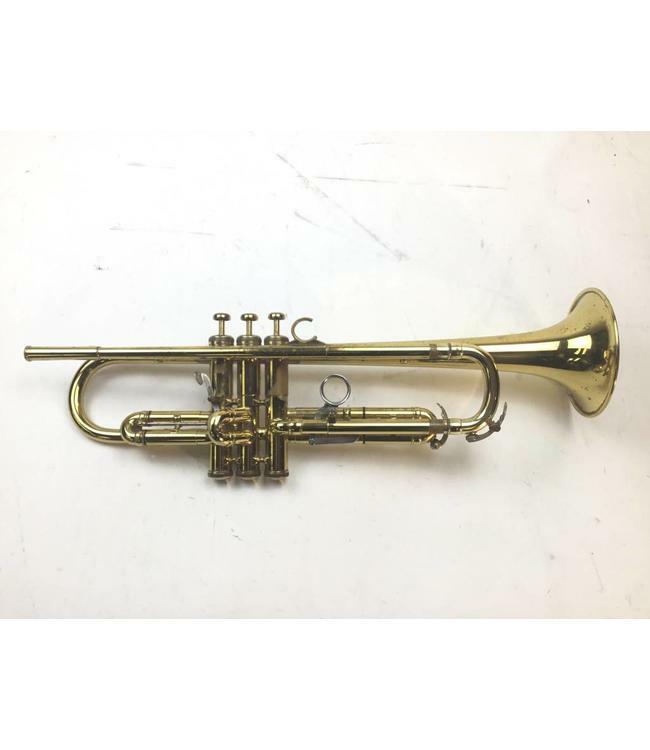 Used Olds Mendez (LA) Bb trumpet in lacquer. Instrument production dated late 1952. Overall in good condition with lacquer wear throughout (mainly contact points) and surface scratching. Includes case.